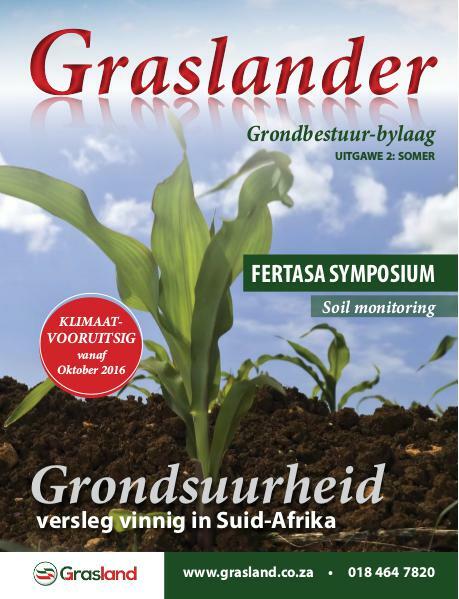 This publication aims is to provide useful and indeed vital information about the various aspects of soil management in agriculture. Dear reader, I am very pleased to inform you that Grasland has undergone a name change. During our 50th anniversary we entered a new era and Grasland is now known as Bastion. Please see our article in the addendum around this event. Again, Grasland is a privileged to introduce a publication of The Graslander. And this time it's not just any issue - we're going to look at what has happened over the past 50 years because, as most role players know, it's Grasland's 50th birthday in November 2017. Check out page 2-3 for the main highlights of the last 50 years. Anyone who knows anything about agriculture knows that it is a labour of love, an innate passion, a natural affinity with land and animal that drives the producer to endure through good times and bad times. Weather experts have predicted the beginning of a La Niña, which, if correct, means we are getting ourselves ready for a wet summer. After the worst drought in decades, it sounds like manna from heaven, but remember, soil preparation and analysis are critical to ensuring that your fields will be able to utilize this moisture. 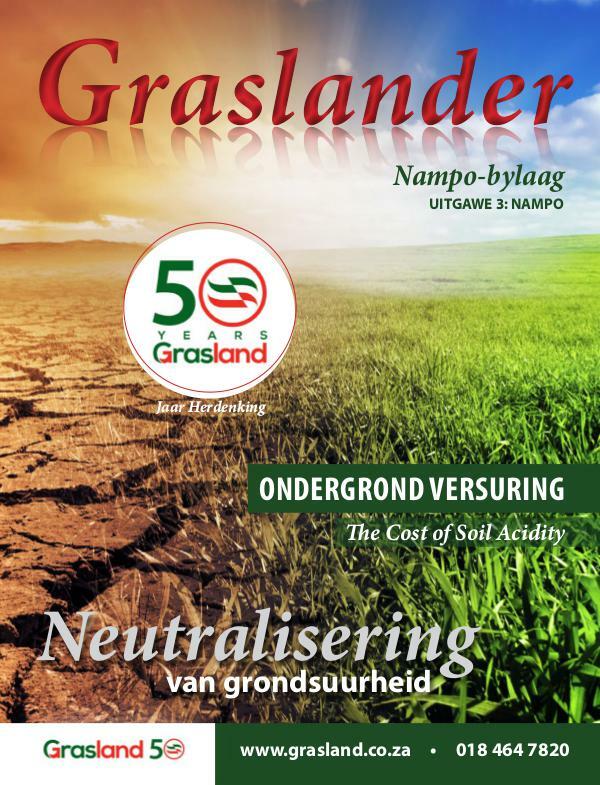 Welcome to the inaugural edition of GRASLANDER, a new soil management manual produced by Grasland and distributed via Senwes Scenario, NWK Arena and Ons Eie from Suidwes, magazines.